Ms. Salka is a Certified Family Law Specialist and fellow of the American Academy of Matrimonial Lawyers. 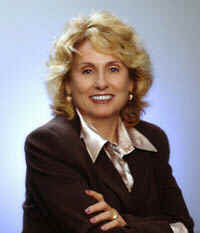 She is the former Chair of the Family Law Section of the Los Angeles County Bar and has taught and written extensively about mediation and other consensual dispute processes. She has been named SuperLawyer for the past eleven years by Los Angeles Magazine, an honor reflecting the respect of her peers, and is a founding member of Los Angeles Collaborative Family Law Association, an association formed to advance the practice of collaborative family law. After more than 40 years of experience as a family law attorney, Ms. Salka today favors dispute resolution options that avoid courtroom intervention. The menu of options she offers includes mediation, collaborative family law, coaching, limited representation, consulting, and negotiation. Remember, you have a choice when it comes to resolving your family law matter. Ms. Salka offers her clients an a la carte selection of services that reflect her breadth of experience in the legal profession. Its a modern approach to advocacy that benefits you, the client, in terms of value and individualized attention. With shared processes like mediation and collaborative law, clients gain a great sense of control over their lives because they are directly involved in the process. Ms. Salka keeps the future of the family in the forefront. Her extensive legal experience and research indicate that children do the best when parents do not go to war. Ms. Salka helps her clients focus on the future while attending to the legal and financial needs of the present. She also offers extensive bibliographies, written materials, training and other forms of coaching in how to keep this focus while going through a difficult time. Ms. Salka has an excellent track record for resolving family disputes in high-profile, high-asset and high-income celebrity cases as well as more modest cases. In each case, she emphasizes quick results and private, practical, and progressive solutions. She is straight-forward about what a client can reasonably expect and highly knowledgeable about and sensitive to child-related issues.